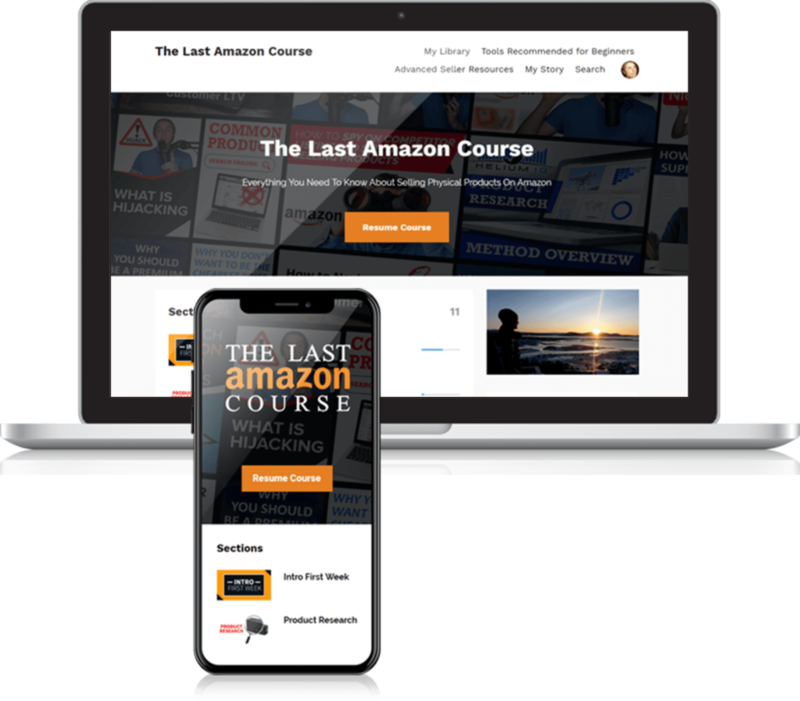 Sourcing products to sell is the first step to succeeding in your Amazon business. But where you source products from can literally make or break your business. Automatic thoughts go to sourcing products in China but another country you may not have to even considered is the good ol' USA. In this article we're going to discuss sourcing from America, which is something I've actually done for a large majority of my products. People always ask me questions about this. I thought I would share my experience with it. One thing that happens when you're sourcing from China, you need to be very diligent about certifications. When you're going to source from America over China, you're going to get way faster lead times. I just love that because your money's able to grow exponentially a lot faster because you could take even a lower ROI on your product. There are these products like bubble wrap or stuff like that where it doesn't weigh anything. You could have these fast lead times. There’s essentially no cost but shipping that via air doesn't make sense from China. But even in sea shipping, that's a long lead time. There are a lot of products that could be sourced in America actually the cheapest, the best and the fastest. You’re going to get faster lead times. You're going to get a less of a liability risk because you still got to do your due diligence. You’re responsible for your product at the end of the day. But, if your manufacturer lied to you about a certification like what happened to me with the solar eclipse glasses, all the ones in China are lying to me, if somebody in the US does that, well, there's a lawsuit. So, you don't have to worry about that. They’re speaking English and it's faster. They're on the same time zone as you, so you don't end up with these wonky schedules. You can get a sample and two days for really cheap. You could go visit them there. There's a lot of things that I like about it. You’re supporting people from the United States. I really liked that aspect of it. The downfall is going to be price most of the time. But, there are certain products where dimensionally, it does make sense to source from the USA. You can only source and be competitive from the USA. I'd say this is one of the bigger ones. They don't specialize as much here. In China, every factory owner, if you ask them to do any type of customization, now he said, "Okay, we can do that". Because, it's literally this ecosystem of manufacturing so they may not be able to add in a special add on that you want, but they know a guy who knows a guy. They all deal with people on a daily basis who are manufacturing something. Just that supply chain that exists there doesn't exist in the United States. Specifically, think about Foxconn. Foxconn is the company that makes the Apple stuff, the iPhone. I went to Shen Zen and I forget the name of the market, but it's crazy. It's an eight-story mall and it's just full of electronic components. You could do anything there. It’s so cool. That just doesn't exist in the US here. That specialization and the cheap labor results in higher prices you're going to get it from here. You’re going to have to get a higher MOQ. Typically, the factory owners are a lot older here. They're not as willing to take on that smaller order or do that customization. They're kind of more so in the game of finding some bigger companies and getting out deals like that. That’s going to be something that you have to take into account. Even assembly and packaging costs three times as much here because of labor costs. There’s a lot different employment laws here too, so there's a lot higher liability. There are ups and downs about sourcing from the USA, but it can be awesome. I guess this would be my use case scenario where I would source from the USA is when I'm learning right away. I got my 80/20 wristbands. I source these from the USA and I got them super-fast, maybe a week and a half. They're from the USA. But here's the thing. So, you see they are like this. If I got these from China, they would have packaged it for super, super cheap. But in the USA, it’s not so much. They're not going to do custom logos. You get your own design on them, but there's a lot more that they won't do, that just kind of custom in China. I also did the coffee mugs here in the US. I used a company called Discount Mugs. They have really good pricing and in the fast lead time. I use them in the use cases just you want to learn. You’ve got an idea. It’s all about getting it to market fast and validating your learning. That’s what I really prioritize sourcing from the USA and everything is just that feedback loop in my head of learning lessons. And then, once you get something that scales and is proven to work, you go to China or you could continue in the USA. That's what I got to say about that. How We Would Go and Find a Supplier from the USA? This is how you find a US supplier. There are search directories, but they're not quite like Alibaba. There’s Thomas Net, there's Makers Row. These are other ones that I found from some websites. But to be completely honest, I've just not been impressed with the user interface, the amount of communication and information. I honestly don't know how these manufacturers, they must just be living off a big clients or old people just talking to each other because I've never found what I wanted when I've looked several times to find a supplier on this. But that doesn't mean it couldn't work or wouldn't get better, but I just have not had luck. You guys can go check them out for yourself. What I use is search engines because that's where I found my suppliers every time. Now, you're going to have to be a little bit savvy. Sometimes, you can just get a home run and a right away. You just use the search engine and boom, there's all the information that you need. Great! You're good to go. But other times, you're going to need to get trickier, especially if it's a popular keyword. You really got to think about what is unique to a manufacturer. So these companies, they're not on these directories or anything, so it's going to be really hard to find them. This is a good trick to use for anything where you're trying to find something where they didn't optimize for search engines. You’re going to want to use just words that they would have on their website because the Google Spider Bot goes and it'll take all those words. Now, if you can have all those terms that would only be on a manufacturer’s website, it's going to help. Let’s go to Google. Let’s say, we're going to look up for a ‘lampshade manufacturer’ because that could be something that I would test here in the US just because of how large they are. They’re not too complex to ‘manufacturer’. We have the ‘NAICS Codes’. That’s what you need to put when you're importing them to the United States. By using that code, that's going to be listed on their website potentially or what you can also do is just use the word 'manufacturer', 'contact us' because what I found, they never give you pricing. You always have to contact them because I think they get higher conversions at rate. That would make more sense. You’re not just window shopping. ‘Pricing’ because obviously, they say ‘contact us for pricing’. And then, 'lead time'. Your typical retail customer doesn't use the word ‘lead time’. They would say shipping and whatnot. By really forcing it to have lead time in there, you're going to get it. What you're going to want to do is learn how to use advanced google search commands. This will really help you out with a lot of things in your life actually. So if we did 'Love me tender' right there, we could force it. It has to have those words in that exact phrase. I would look up NAICS code. Like, ‘NAICS for lampshade’. I had done that earlier. ‘Lampshade Manufacturing Artisan SIC and NAICS Codes’ - that looks like a code website. These all look like code directories because this is the problem. I took an entire course on search engines. This is a very valuable keyword that is going to be ranking for. All these coding websites are ranking for this code because they probably have some service where they make money and whatnot. So, if you just do this code and then ‘Lampshade’, you're not going to get what you want. What you could do is play around with different ways of using the exact search and that's really going to help you find different results. I did this with 'made in the USA' as the exact and the parentheses there. And then now, I'm able to show up this one ‘made in the USA lampshades’. You could pull up this website which was not coming up before. It looks like they're a wholesaler of different made in the USA lampshades. What you could do here is reverse engineer and find out the manufacturers of these lampshades and then go talk to them and see. Is that just a private label brand from another manufacturer? Or you could go back and that might just be another manufacturer. So, you could go and then find them that way. You’re going to have to get a little bit more tricky overall just because a lot of these companies, they are just not listing themselves on Google. That’s just not the way they work. I had actually done this with the solar eclipse. I contacted some certification bodies for the glasses. They were able to tell me, “Okay, here are some approved companies that we'd done tests for." They wouldn't tell us all of the information and whatnot though, but the people who are doing this testing, let's say these lampshades needed a certain certification, you could call that certification body, find the tester and he's obviously done a bunch of testing on lampshades. That’s going to be a great resource. He’s going to know way more than you do. I had actually done this with the eclipse and I contacted about a certain certification and that I needed to get. That’s why I was able to sell and a lot of people weren't. I was actually able to then notify them once that we're infringing improperly on the certification. That guy was knowledgeable and that was probably one of the best things I ever did for the whole business. It was literally getting on the phone and calling certification body and those guys are just geniuses. They don't charge to just talk on the phone because you know it's a consultation. It’s not their business. They’re not trying to maximize their time. It's just like, here's the testing rules, here's the testing price. I don't suggest you take advantage, but if you were very efficient with their time, I'm sure they would love to. If you had very pinpoint questions, they would love to answer and direct you in the right way. Get on the phone and just start searching around and you could find some good USA based manufacturers. From my experience, they're very pleasant to deal with and I wish you the best of luck if you find one.